Welcome back and thank you for making it this far! 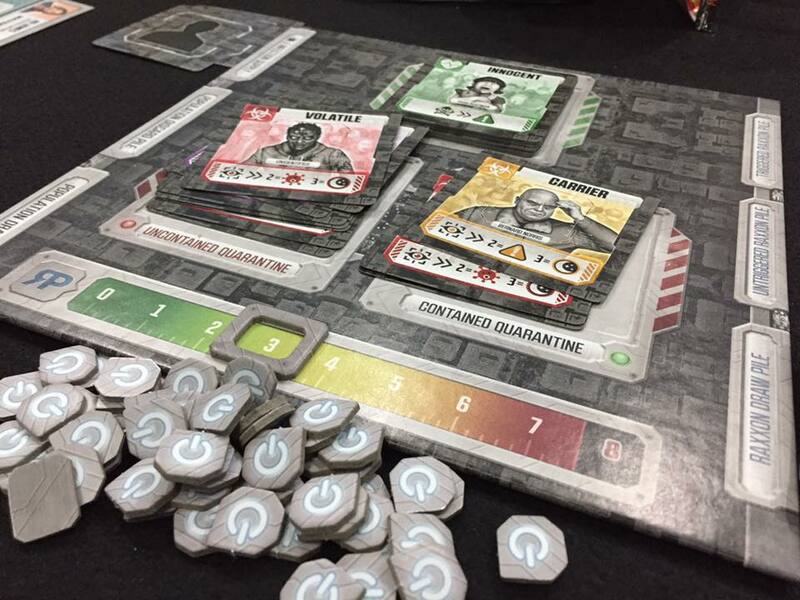 For those who just joined us you might want to backpedal a bit and check out Part 1 (Introduction and Components) or Part 2 (Setup and gameplay) before reading this review. 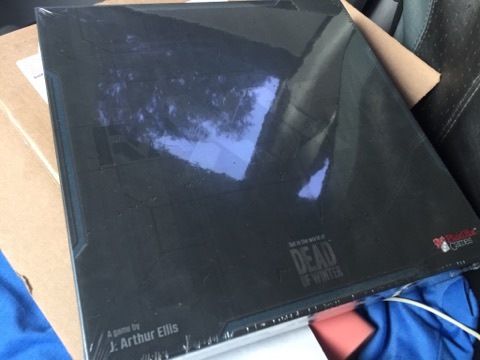 I first heard about the game in my Facebook wall when Gaming Library, a local FLGS posted an image of a box and a letter. My curiosity was piqued immediately as I previously found out that only 50 copies of this game was initially sent out to select places around the globe. What even made it more interesting is that if you try to search for the game online you will probably be ending up with nothing, as there are no BGG posts, no YouTube videos, nothing that can give any clue on what the game actually is. Everything was pure speculation. Fast-forward a few days, the good folks at GL was very generous enough to give lil’ ol me to have a first crack at this mysterious game. It was really a no-brainer. 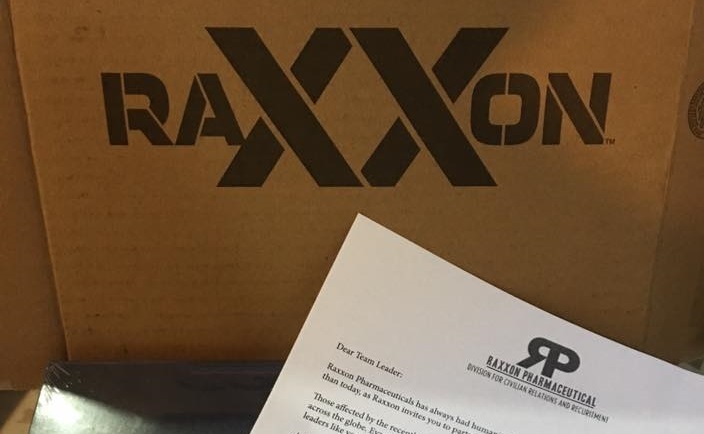 Excitedly, I contacted my neighbor Martin Morelos to try out the game and provide additional input for Raxxon. So here we go! When I saw the box pictures that surfaced online, I was thinking your typical Ticket To Ride-sized box. When I got the package I was surprised that it was smaller than expected (think Elder Sign or Arkham Horror LCG). Quality-wise you can’t argue that PHG rolls out good components, and the same can be said to Raxxon. 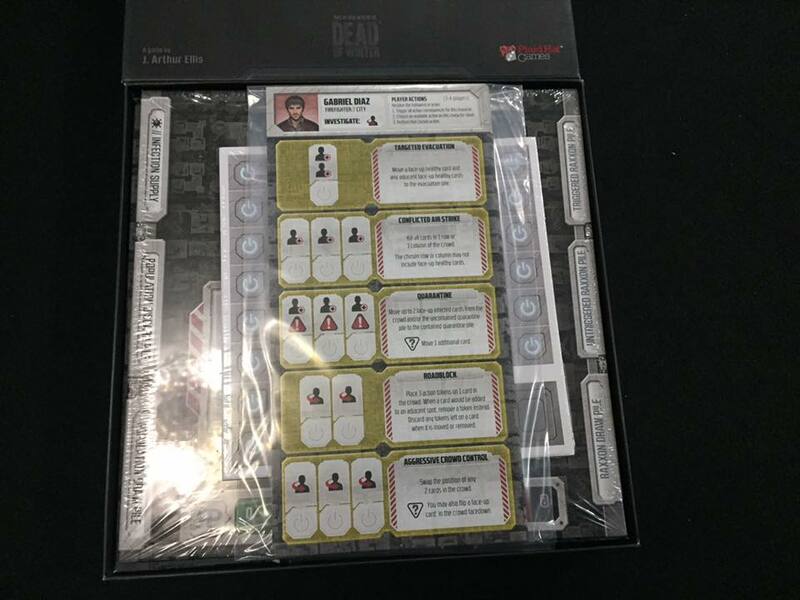 Given the box size and having a glance at the components, it gave me the impression that this could be something much lighter in scope than Plaid Hat’s previous entries. And well I was right. Now with that out of the way let’s talk about what you want to hear, gameplay. I’ll be really straight and upfront with you guys, this game really feels like an abstract game. Not that it is a bad thing, as some people might like this. 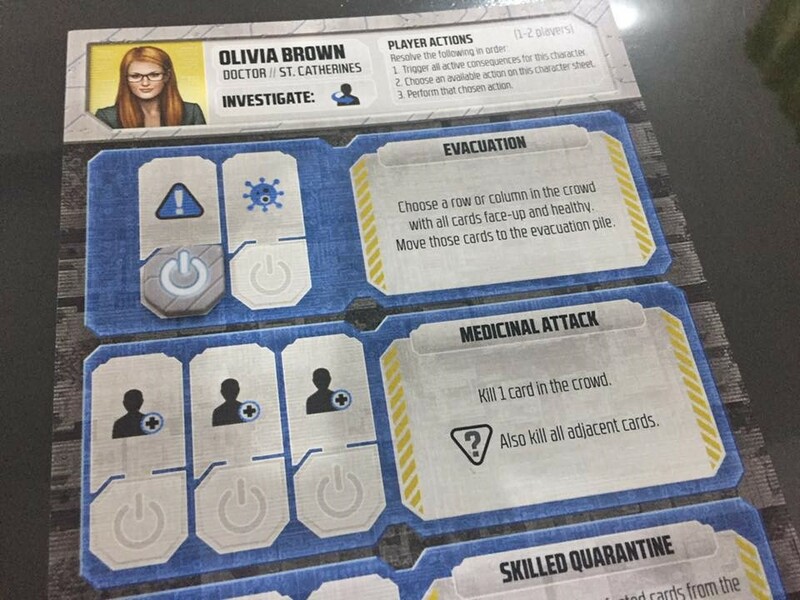 If you read Part 2 of this review, the game is all about manipulating the crowd, aligning the healthy people and moving away/killing the infected ones. If you remove the theme in this game, it could simply be just flipping and re-organizing symbols, colors and shapes. 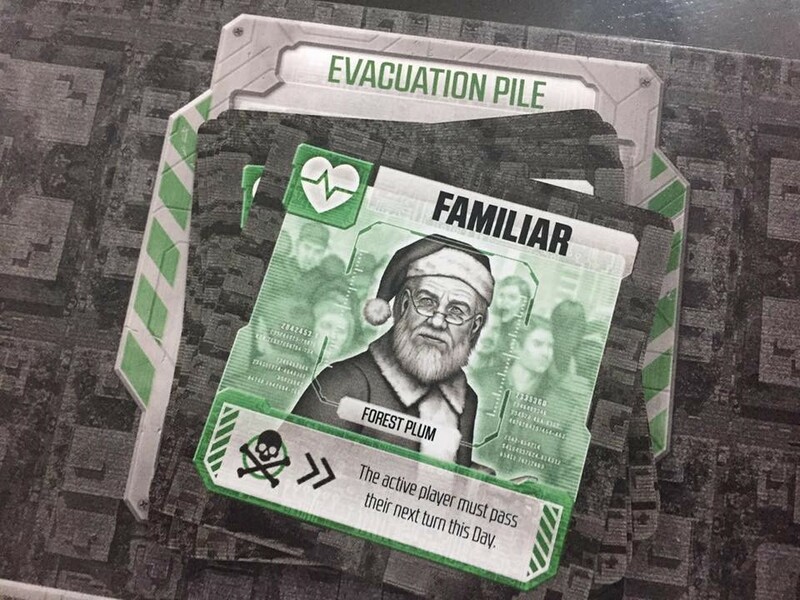 The zombie theme feels pasted-on, at least in the Evac Kit where I tried the introductory and regular scenarios. 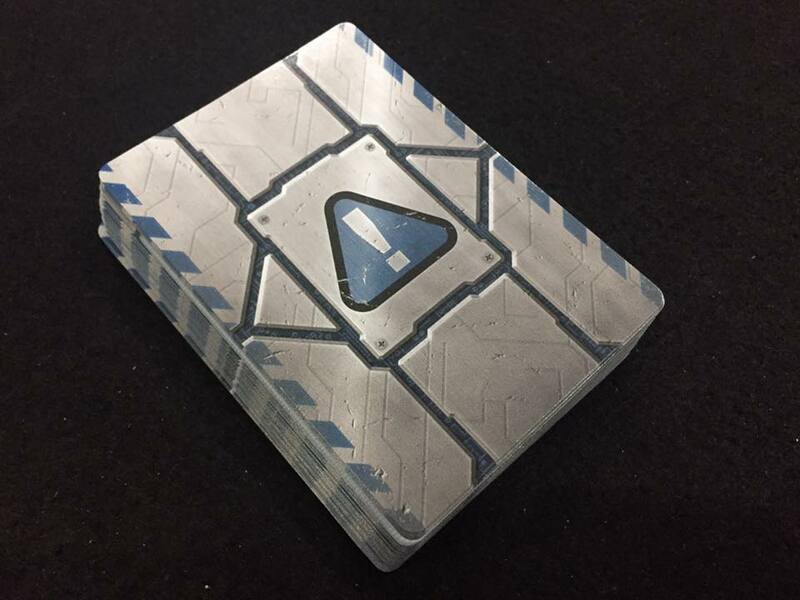 Now one could say… “But they have these Raxxon crossroad cards?” Well true enough it provides a bit of a narrative, but in my 3 play sessions, for some reason most of the encounters didn’t trigger, and the story is very few and far between. It might be because of the luck of the draw or because certain characters did not show up. But I really felt that the theme is just slapped-on there and made it look like it was part of the Dead of Winter universe. Speaking of the characters, what I mostly liked about here is the consequence mechanic for the characters. It makes choosing your move all the more important since you cannot spam actions since the slots are limited. Okay don’t get me wrong, theme-slapping aside I’m not saying that this is a bad game. Mechanics-wise, Raxxon is simple and elegant and the player turns and cleanup flow really smoothly. Also, 2 out of my 3 games I remember it to being always down the line, which for me is a mark of a good game. 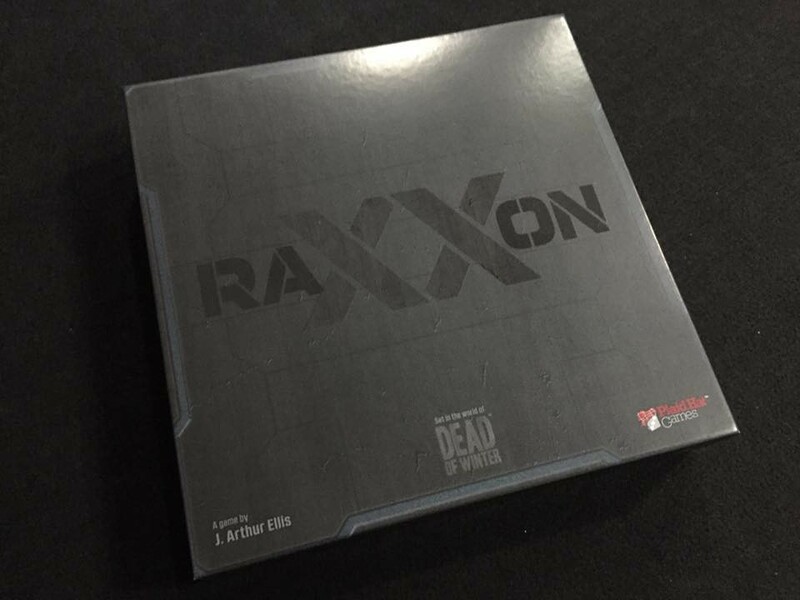 I guess what I want to say is… For the amount of hype Raxxon is generating right now, maybe I was looking for something much more grander in scope. Now I only played the Evac Kit a total of 3 times. I heard there will be additional scenarios to be added that will shake the fundamental rules of the game. Maybe my opinion will change by then. Next articleGirls und Panzer das Finale Trailer and a New PS4 Game!